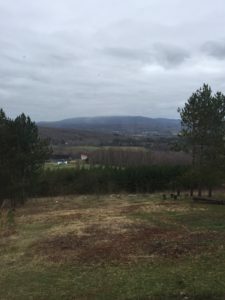 May 6, 2016 / jambo232323 / Enter your password to view comments. The word Mindfulness has caught fire in today’s Spiritual scene. The term “mindfulness revolution” has been coined to refer to the wide ranging scope of courses, programs and techniques that have been sweeping the globe. Seemingly numberless options are available to the consumer of mindfulness, often with greatly diverse orientations, methods, and goals. 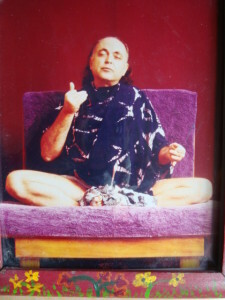 I have just returned from a European speaking tour during which I was asked to give introductory talks about Adi Da Samraj and His Reality Way of the Heart under the title, “Mindfulness, Emptiness, and the “Bright””. 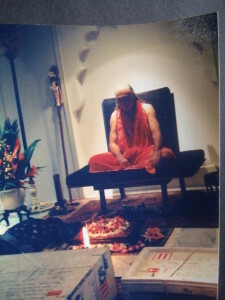 Although I did not choose the title for the talks, it was clear that the talks were an appeal to those with an interest in “Mindfulness”, who had felt the emptiness of today’s society, and who wanted to find out more about Adi Da Samraj and the “Bright” Realization that He Teaches and Incarnated. During the course of these introductory talks, and a full-day seminar, given to audiences in various cities in the Netherlands and England, there was a discussion of the understandings that cause each of us to have an interest in and urge towards the Spiritual process itself. Adi Da has brilliantly summarized these in His description of the “Dual sensitivities” that must be alive for the Spiritual motivation to come to the front. Briefly summarized, these are the sensitivity to the “heart-impulse that would be Happy, that would realize Happiness Itself”, and the sensitivity to “the mortal limitations of the present condition”. The first sensitivity is an urge to what is greater than body, mind, and self, to the Divine, Reality, or Truth, the Happiness that is beyond and prior to everything. 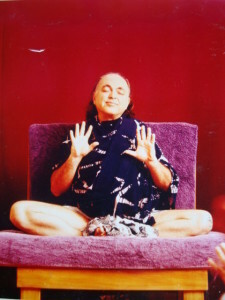 Adi Da has reminded us that we always know what it is to look and feel and act and be completely Happy, because it is inherently the nature of Reality. Each of us has moments when we are given “for free”, by the Divine or Reality Itself, a taste of this Freedom or Happiness. That intuition is present in all of us, no matter how typically clouded over. The second sensitivity is to the suffering that is born existence lived from the egoic point of view. It is a sensitivity that it does not “work out” in this world, and it involves an insight into the fact that we cannot and will not be fulfilled as an ego. It is impossible to be so fulfilled in this place of death and sufferings and endings. The typical orientation of the Western world is towards immunizing ourselves to these sensitivities. This orientation, which is spreading also in the traditional East, is one that proposes a life full of distractions and involvements that do not allow us any free attention towards allowing the dual sensitivities to blossom and command our energy and attention. The saints and Realizers, having had these moments of freedom and insight, dedicate their lives to awakening of these sensitivities. Most of us simply get on with our lives, and allow them to pass. Today’s world and its cultural orientation supports our ignoring of them. From birth until death we are proposed a materialism and consolation that does not allow the depth of awareness of our true condition to manifest. It is for this reason that mindfulness, even in its most simple form, has become so popular in today’s world. The classic definition of mindfulness as defined by one of its most important promulgators, Jon Kabat-Zinn, is “nonelaborative, nonjudgmental, present-centered awareness in which each thought, feeling, or sensation that arises in the attentional field is acknowledged and accepted as it is”. There are many varieties of mindfulness practice, but in its simplicity it commonly involves the practitioner putting aside some minutes each day, perhaps a minimum of ten minutes in the morning, and then minutes in the evening, and sitting quietly in a comfortable pose or asana. And while so sitting, to simply, allow and accept whatever arises to arise, without judgment or concern, to remain merely present. 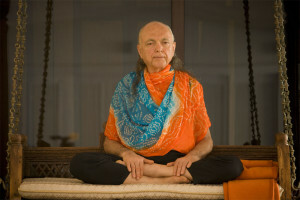 Adi Da has described this simplest practice with the words, “Whatever arises, simply be, and remain aware of it”. (“I” Is the Body of Life, pg. 63). 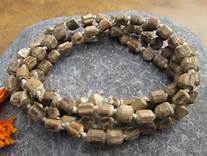 Remarkably, just this simplicity of mindfulness practice, in this form or another of its variants, in brief periods of meditation, and in daily life, has achieved significant results. The world today has become so stressful, and we all run around with so many responsibilities and concerns, that merely to stop for a brief period of time, and to relax from the need to achieve anything, often brings about a remarkably positive change in an individual. 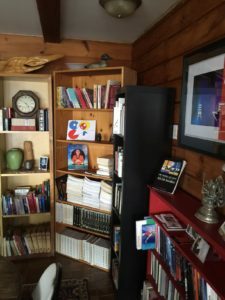 Jon Kabit-Zinn calls his program “Mindfulness-Based Stress Reduction” (MBSR) and it is has been used profitably in a great variety of situations such as prisons, veterans groups, and in schools. It and other varieties of mindfulness are being used to help alleviate a number of conditions such as obsessive compulsive disorder, anxiety, depression and even addictions. Fortune 500 companies are offering courses in mindfulness practice, and are finding that it helps their employees to be more effective in their work. Thus mindfulness has become for thousands, a jumping off point from their ordinary stress-driven and desensitized lives. They are profitably engaging in some sort of break from the driving forces in today’s society for outward achievement and success. This is a wholly positive phenomenon. However for those who are becoming increasingly awakened to the dual sensitivities, this is only a beginning. And the mindfulness movement, from the point of view of deeper Spiritual realities, has its own pitfalls and limitations. So widely proliferated and consumer-based have mindfulness courses become, that mindfulness done merely as a way to become a better functioning ego is suggestively termed McMindfulness (as in McDonalds). It stops short of providing true Happiness, or addressing the limitations of mortal existence, but in its consumer-based form, merely helps to cope more fully within the current materialistic situation. It is attempting to create an idealized egoic lifestyle, rather than being sensitive to the Spiritual realities and sensitivities that call for and require our ego-transcendence and finding and living of something greater. This brings us to a deeper understanding of mindfulness. The present consumer variety of mindfulness is often quite distanced from the roots of the word and practice in Buddhism. Original Buddhism as taught by Gautama Buddha in the 5th century BC treasures the Satipatthana Sutra in which Gautama repeatedly calls the reader to “Be mindful”. And it is the word “sati” that is the original Pali language (the language of the original Buddhist texts) equivalent of “mindfulness”. 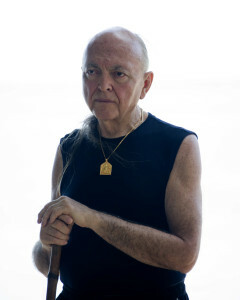 As Adi Da has made plain, after 2500 years of development there is no one Buddhism, but many varieties of it, each with its own set of interpretations and variations in meditational practice and orientation. 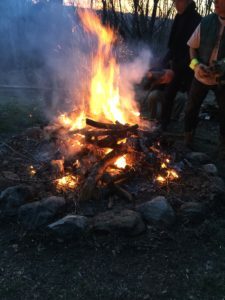 But the typical purpose of meditation in the context of Buddhism was not for the sake of becoming a more competent ego, but to lead to insight into the nature of reality. In such insight, one sees the impermanence of conditional existence, and its inherent suffering. 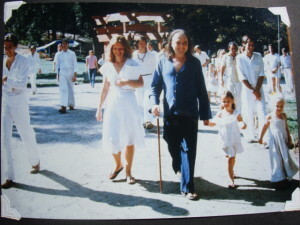 In the full elaboration of Buddhism, as in the Reality Way of Adidam that Adi Da Teaches, there is insight into the fact that even the ego or the self are not tangible “somethings”, but merely activities. Adi Da calls this activity the “self-contraction”, and on its basis, men and women take up all sorts of searches to alleviate the pain and discomfort that inevitably follows in its wake. Thus, mindfulness practice is seen to be but one aspect of a full life dedicated to Spiritual growth and maturity. Mindfulness in this sense becomes an aid to coming to the recognition of the Always Already Free State or the “Bright” that is our native condition, prior to the activity of separation and separativeness. 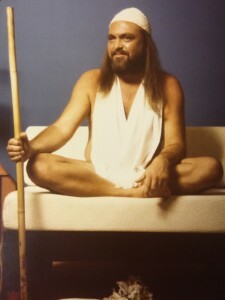 In the introductory events and seminars on “Mindfulness, Emptiness, and the “Bright”” which I facilitated, some individuals attended who had never heard of Adi Da Samraj, but were there merely to learn more about mindfulness. However, typically, during the course of the presentations, the discussion about the “dual sensitivity” leads all of the participants to consider more deeply the nature of existence itself, and be enlivened by the uncovering of the dual sensitivities in themselves. 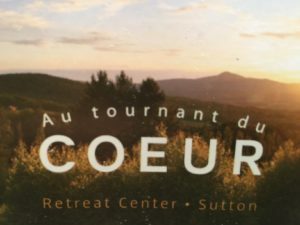 Thus all were moved, beyond consumer-based mindfulness, to being mindful of our actual situation as egos, needing to grow beyond our separative action. 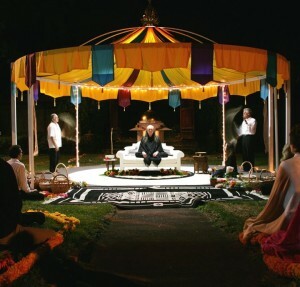 Then we could move on to discuss the necessity and benefits of true help, or the Guru-devotee relationship. This provides a means and guidance by which to go beyond the insights of the fruitlessness of egoic self-fulfillment that mindfulness brings. 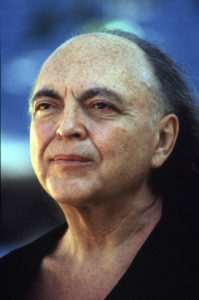 Such guidance turns the “disillusionment” with ordinary life that is part of the dual sensitivities into what Adi Da has termed “positive disillusionment”, because there is a way to Realize Happiness. When one is so disillusioned, one is grateful and humbled to receive help from the Guru, or true Teacher, and to engage the laws required for the genuine Guru-devotee relationship to work. The Westerner knows little about the Guru-devotee relationship, and carries prejudices in our cultural and psychological make-up that make it difficult to receive such help or fruitfully practice in that context. That is a subject that itself calls for a further discussion, beyond the scope of this article. 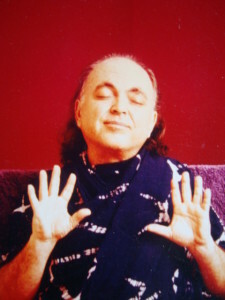 Adi Da has Himself given great help in clarifying all aspects of this, and I have written about His Instruction in two works, soon to be republished, Love of the God-Man: A Comprehensive Guide to the Traditional and Time-Honored Guru-Devotee Relationship, the Supreme Means of God-Realization, as Fully Revealed for the First Time by Adi Da Samraj, and its abridgement Divine Distraction. Ultimately, a serious consideration of mindfulness leads us back to the “Bright”, or the Self-Existing and Self-Radiant Divine Condition Itself. 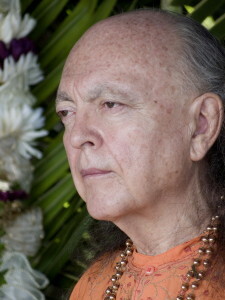 It is a term that Adi Da Samraj coined when He was still an infant of two years of age, a term that describes His Own Realization (remarkably, and again the subject for further discussion, achieved from His Birth), and it is a term that He used throughout His Lifetime of Instruction and Blessing. The “Bright” is not simply physical light, but it is the Radiance of the Being, Conscious Light, the Divine Light of the Self. 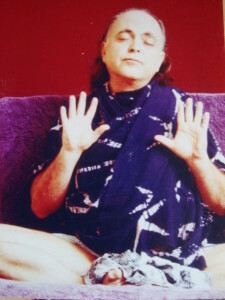 It is Adi Da’s own Realization, but it is also His Gift to all. Thus, mindfulness truly leads to “positive disillusionment”. And “positive disillusionment” leads us to the freedom and insight to consider what is prior to the self-contraction and to our egoic activity. And being so mindful, we can take up genuine Spiritual practice and come into the sphere and radiance of our own inherent condition and thus recognize the “Bright”. 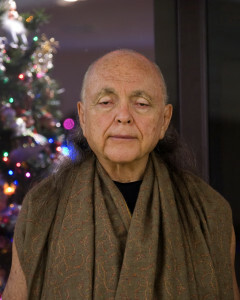 It is Adi Da Samraj’s Gift to Live as this “Bright” and to reveal it to men and women as our own condition, known and recognized whenever we live prior to the activity of our self-contraction. 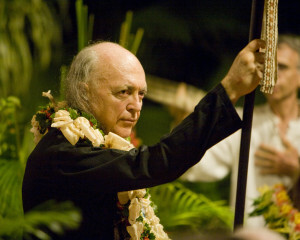 As we end this article, this opens up to the consideration of Adi Da’s unique and completing Reality-Way of the Heart. But the exploration of that in more detail is a topic for a future time.